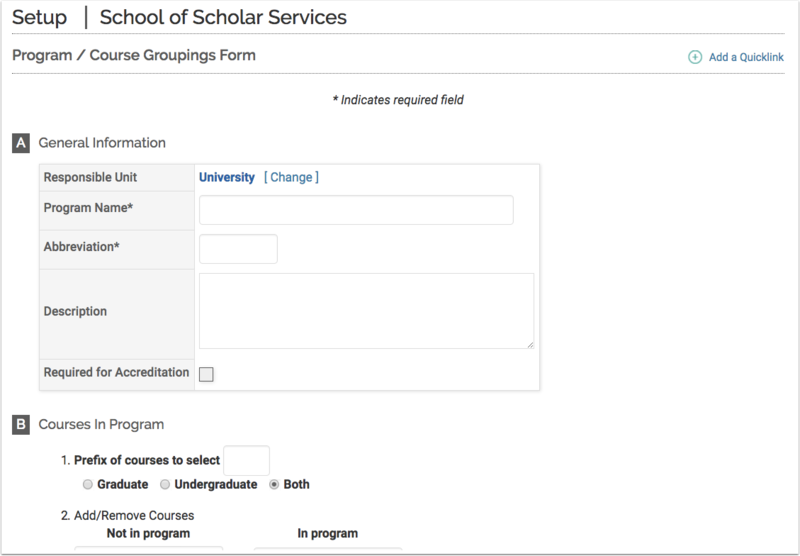 Before creating programs/course groupings, course prefixes and courses must be set up in FACULTY180. Click Program / Course Groupings in the Customize section. The Program / Course Groupings screen displays. Click Add. The Program / Course Groupings Form screen displays. In the General Information section, change the unit for which the program/course grouping is being created, if necessary. Type a name and abbreviation for the new program/course grouping. In the Courses in Program section, select the courses to be included in the grouping. Click Program / Course Groupings in the Customize section. The Program/Course Groupings screen displays. Click the unit associated with the program/course grouping to be changed. 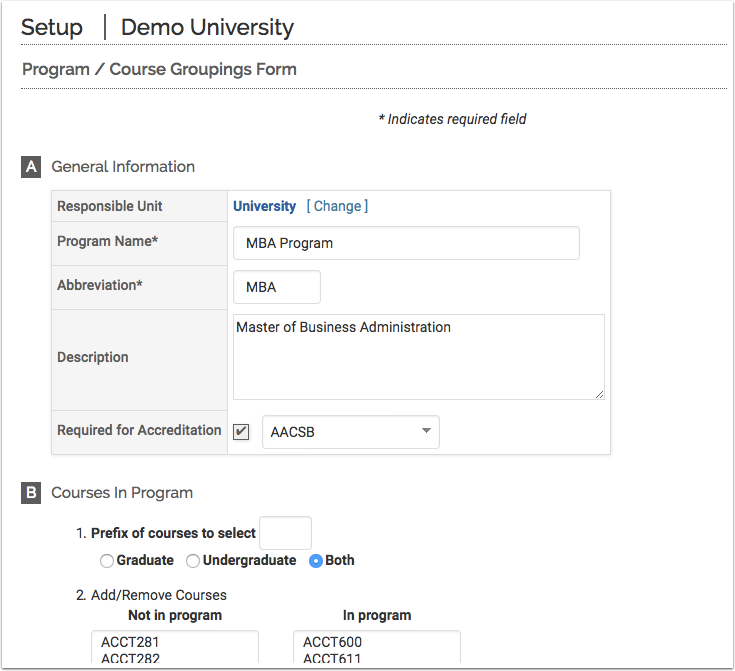 The Manage Program / Course Groupings Form screen displays. Click the Edit icon adjacent to the program/course grouping to be changed. (Program/course grouping can also be deleted from here.) The Program / Course Groupings Form screen displays.